OSH training in construction industry | CRDR s.r.o. This course for construction industry can be appreciated mainly by the employees who work in construction sites, but do not perform any manual work. 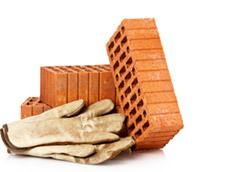 On-line OSH training for construction sites will be thus appreciated by construction supervisors, foremen, the investor's technical supervisors, or designers. The course familiarizes the employee with the safety risks that may occur in construction sites.